Present Music creates a wildly varied concert that will be performed at three different, very intimate settings. Most often Present Music performs in the nostalgic, fire-stained Turner Ballroom. Performers sit on a large deep stage above the audience. A large mixer board in the center of the hall processes the sound – frequently electronically enhanced. This is a great venue for many dramatic, experimental contemporary works. With its “Connecting in the Chamber” series this week, Present Music breaks the audience into four parts to offer a much more intimate experience. Most everyone will sit closer to the players than those in the first row at Turner Hall. The venue choices range from a local coffee house, Anodyne Coffee, on Thursday and Friday evening, the Villa Terrace Great Hall on Friday morning and a true house concert Saturday night. This Present Music program knows no boundaries – with reflections on music of the ancient Greeks as well as contemporary homage to JS Bach and Mozart and 17th century choral writers Don Carlo Gesualdo and Orlando Gibbons. The program will feature pieces for string quartet, piano and wind trios and piano solo. 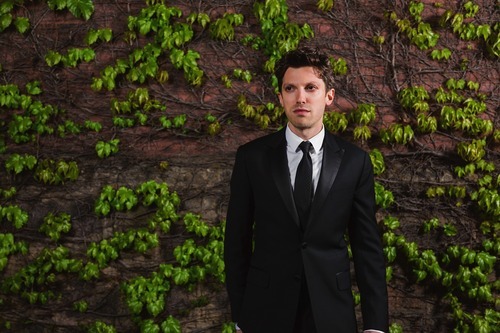 Ensemble pianist Cory Smythe will celebrate a recent Grammy win (a recording with violinist Hillary Hahn) with some of the most challenging works on the program. Scarbo from Gaspard de la nuit (1908) by Maurice Ravel, is a hallucinatory piano solo work featuring a poet’s image of an evil dwarf. The program notes describe the action: “sometimes he dances, other times he hides and only makes noises, and then sometimes he appears and ‘grows between the moon and me like the belfry of a gothic cathedral. '” Pianist Cory Smythe is likely to be the master of this “frenetic and bizarre .. transcendentally virtuosic” work. 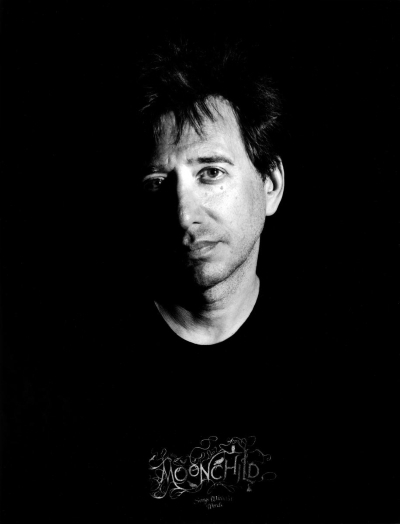 John Zorn. Photo from Present Music. A world premier work, Novalis (2015) by John Zorn takes Ravel’s Scarbo as a point of departure. More or Less (2004) by Bruce Adolphe is a fantasia on Gesualdo’s madrigal Moro, lasso (1610): Adolphe’s music echoes the out-of-his-century sound of Gesualdo’s madrigal. Gesualdo’s dissonant, intensely chromatic chords were not heard again until the 20th century. Two Studies on Ancient Greek Scales (1949-50) by Harry Partch transcribed for string quartet: Patch creates a striking meditative sound world from geniunely ancient scales. Excerpts from Mozart’s Piano Sonata in B Flat Major, K. 281 featuring improvisations by Smythe. Selections from L’Histoire du soldat (1918) by Igor Stravinsky: A wind trio version of several dances from the narrated story of a soldier’s ill-fated contract with the devil. The four concerts: 7:30 p.m. Thursday, February 19th and Friday, February 20th at Anodyne Coffee Roasting Co., 224 W. Bruce St. (the coffee shop will be reserved for concert attendees), 11 a.m. Friday, February 20th at Villa Terrace, 2220 N. Terrace Ave. (coffee and bagels will be available) and a sold-out concert (with a waiting list) 7:30 p.m. Saturday, February 21st at an east side home. Tickets are $25-$35 for the three public concerts. Order through the website or call (414) 271-0711. Present Music is always astonishing, and having this concert at three different (intimate) venues is a stroke of genius!